There are a couple of items that come to mind when I think of timeless classics. Wingback armchairs, clawfoot tubs, armoires and chesterfields name a few, but today I want to take a closer look at one these that is trending big time at the moment – clawfoot tubs. Considered a luxury item in the late 19th century, clawfoot tubs have come and gone in popularity time and time again and with their classic beauty and instant elegance factor, it is little wonder why these tubs are back in vogue. 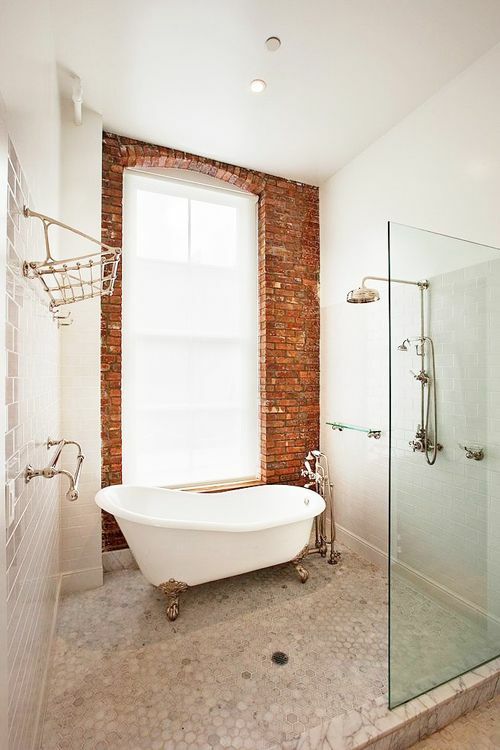 From French provincial to industrial or retro to rustic, clawfoot tubs are becoming the go-to hero piece for many bathrooms and are really making me want to take a nice long soak with some bubbles and a great book…. A classic French provincial setting – Crisp white paired with soft neutrals, classic shapes and stunning tapware helps create this gorgeous French provincial inspired bathroom. Just add Champagne…. Classic Elegance – The classic clawfoot tub, tapware, wall panelling and glass pendant all come together in this gorgeous bathroom to create an elegant space. I’m thinking bubble bath and scented candles to finish the picture? A Hint of modern – Painting the exterior of clawfoot tubs has also become very popular in recent days. Giving them a bright hit of colour modernises the classic piece. 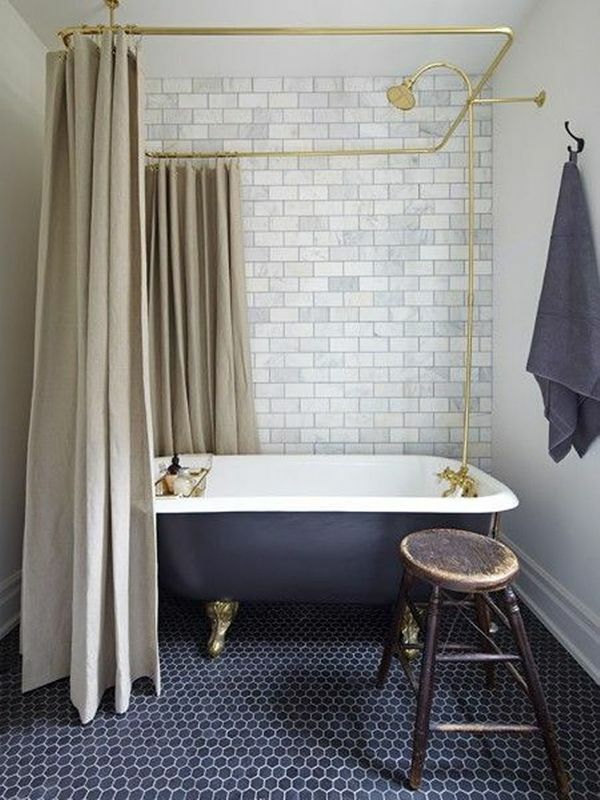 I’ve seen everything from hot pink to lime green (for a more retro look) but this French navy tub has to be my favourite!